Erika was struggling to make it on her own. Erika is a single mom with two kids. Her oldest, Eder is 6 years old and Alex is 3 years old. She was referred to us by her pastor who knew about our work in his community. When we met Erika, she was shy and felt like she had no hope. Erika was married, had one child, and was pregnant with another when her husband left her and went to the United States. 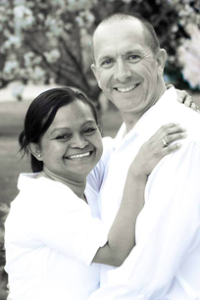 After some time, he quit sending her money and left Erika for another woman in the U.S. He also stopped supporting his children and Erika. Erika had graduated High School and was registered to go to law school when all this happened. She had to give up her dreams to take care of her children. Erika tried to get on her feet but found herself stuck and couldn’t seem to improve her situation. She lived in a small trailer and her kids had to sleep with her as she only had one bed. She had taken out a loan to open a beauty shop so that she could watch her kids while she tried to make enough money to feed her kids. To sum up her situation, when she entered Hope Village, she was barely making enough to feed her and they were stuck in a state of poverty with no escape. She also was afraid that at any point, she may not have a place to cut hair or even have a place to live. Her biggest fears were for her children. She had stated that she was scared that her children wouldn’t be able to go to school. 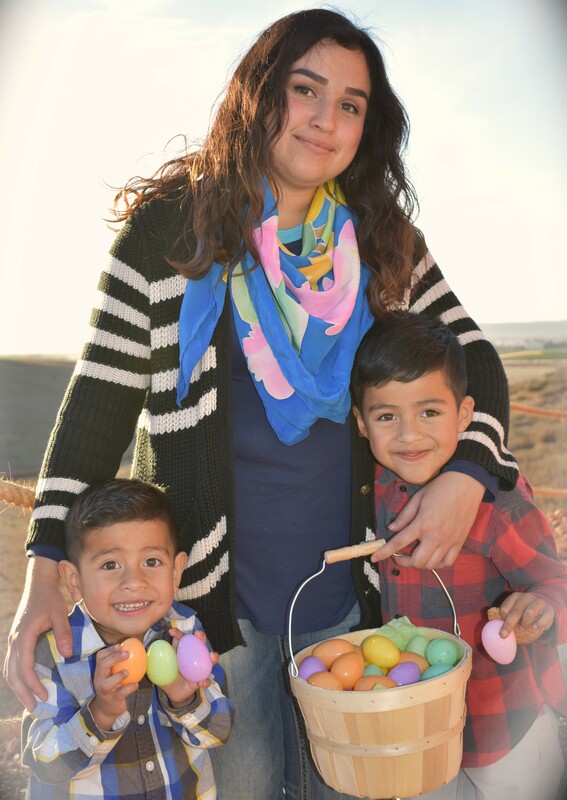 Since living at Hope Village, Erika has learned how to love and discipline her children. She has gained hope and confidence. She has also learned how to manage her finances. Since entering Hope Village, Erika has paid off her loans and was able to save enough money to pay a down payment for a property. Erika has been given an amazing opportunity and is now working at Cristo Por Su Mundo Orphanage, where she has a steady income and is still working at her beauty shop on her days off. Erika is a house mom at the orphanage and takes care of nine children, including her two boys. Erika’s children will now have an opportunity to attend the private school at the orphanage. She is enjoying her work and her children are always with her. Our community leader comments that when she met Erika at Hope Village she saw a strong and confident young woman. Erika is a dedicated mother who works hard for her children. 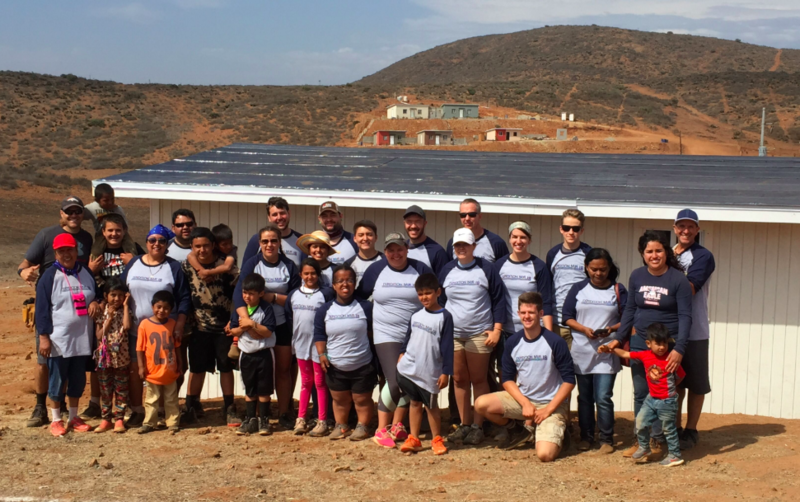 It was amazing to have a team from Colorado and Minnesota here last week to build a house at Erika’s new property. The team from Colorado met Erika last year. They couldn’t believe the change in Erika. She is now a confident and secure woman who is not afraid to speak. We couldn’t be more proud of her progress. She now has her own home with a great job, a steady income, and amazing opportunities for her and her children. She went from a hopeless situation and believed that she was destined for poverty to a confident woman with an amazing future in less than a year.